Prophylaxis is the cleaning of the teeth. 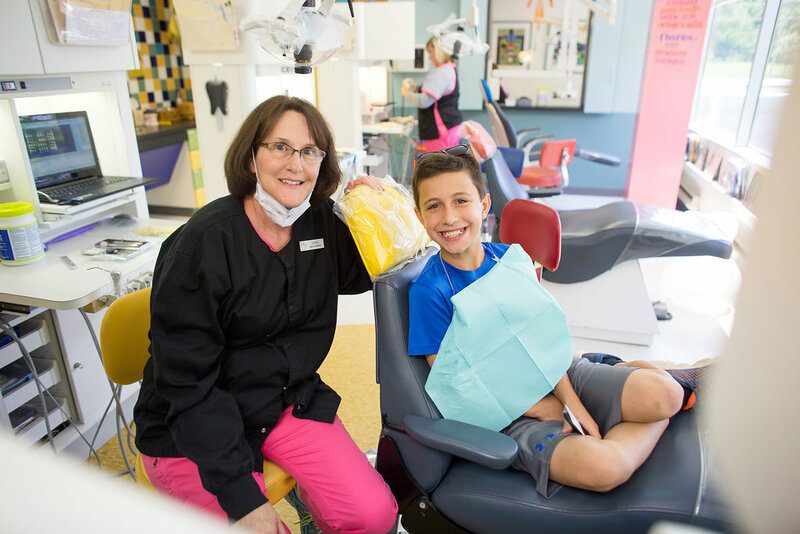 During your child’s dental cleaning, plaque and tarter are removed from teeth to ensure they are left feeling squeaky clean! Dental plaque is the slimy film that forms on kids teeth. It is made of bacteria, bits of food and saliva. Plaque creates tooth decay, gum disease and stinky breath. The ADA and American Academy of Pediatric Dentistry recommend a dental cleaning and fluoride treatment every 6 months for all children.